We have the opportunity to offer long & short term volunteer placements to enable people to develop vocational skills whilst taking part in the regeneration of a historical site. There are also opportunities for us to organise training for our long term volunteers. There is always work to do in the garden and woodland, fields need fencing, pathways need laying, or maybe you could help in our café. If you are interested and feel you’d like to help, give us a call to arrange a time to come up, we’ll show you around and give you the necessary forms to complete. These 42 acres are for you, the community and future generation to enjoy and be part of. EcoDysgu is a community business, a non-profit making company limited by guarantee. With the support of many volunteers, the centre is steered by a group of like minded individuals who share experience, knowledge and faith in the holistic approach to education. 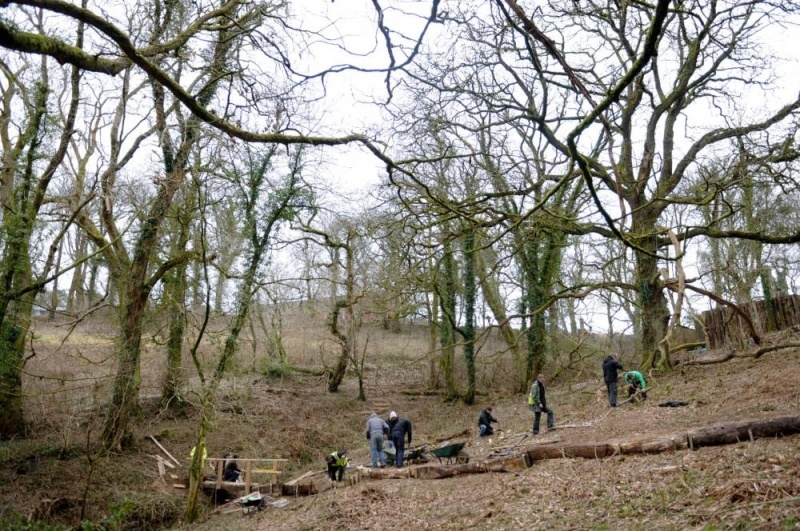 Funding has been and continues to be sourced for staff, woodland management, workshops and building renovations. It is not the groups intention to develop the site prior to use but rather to encourage community involvement and participation in the creation and sustainability of this education centre. Preserving the beauty, historic value and ecology habitats of the site by the community, for the community for generations to come. The Prince’s Foundation for Integrated Health.